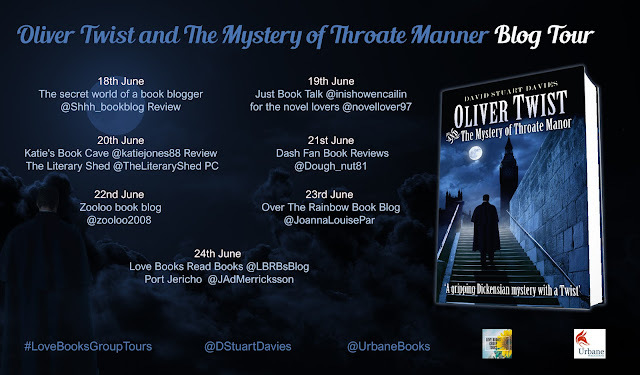 A thrilling 'Dickensian Whodunit' in which Oliver Twist, now a young man and a lawyer, assisted by his clerk Jack Dawkins (the Artful Dodger) tries to solve a series of brutal murders. Oliver Twist is a young man in his late twenties and employed as a solicitor. He has taken his old associate Jack Dawkins, aka the Artful Dodger, on as his clerk in attempt to civilise him and keep him out of trouble. Together they become embroiled in a dark and dangerous murder mystery. Throate Manor is the ancestral home of the Throate Family in Surrey. The latest incumbent of the line, the aged Sir Ebenezer, trapped in a loveless marriage to Lady Amelia, is being terrified by a night visitor, a sheeted apparition who appears in his bedroom, and warns him to remember his son. This does not refer to his legitimate offspring Jeremiah Throate, a reckless gambler and libertine, who is deeply in debt to Eugene Trench, a sinister figure in the Victorian underworld. The son to whom the apparition refers is an illegitimate child Sir Ebenezer fathered with a maidservant some twenty five years previously. Fear mixed with guilt prompts Sir Ebenezer to try and locate the son he has never known. He plans to alter his will to favour him. He contacts his solicitors, the firm of Gripewind and Biddle, for this purpose and they despatch Oliver Twist and Jack Dawkins to Throate Manor to attend to this business. Sir Ebenezer charges Oliver with the task of finding his lost son. The task is a perilous one leading to violence and murder before shocking revelations threaten to destroy them all. Bestselling crime author David Stuart Davies delivers a unique Victorian set mystery, reimagining some of Charles Dickens best loved characters in new and thrilling roles. Ideal for fans of Kim Newman, Mark Frost and the author's acclaimed Luther Darke series. 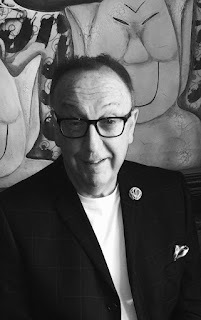 David Stuart Davies is an author, playwright and editor. His fiction includes six novels featuring his wartime detective Johnny Hawke, Victorian puzzle solver artist Luther Darke, and seven Sherlock Holmes novels the latest being Sherlock Holmes and the Ripper Legacy (2016). 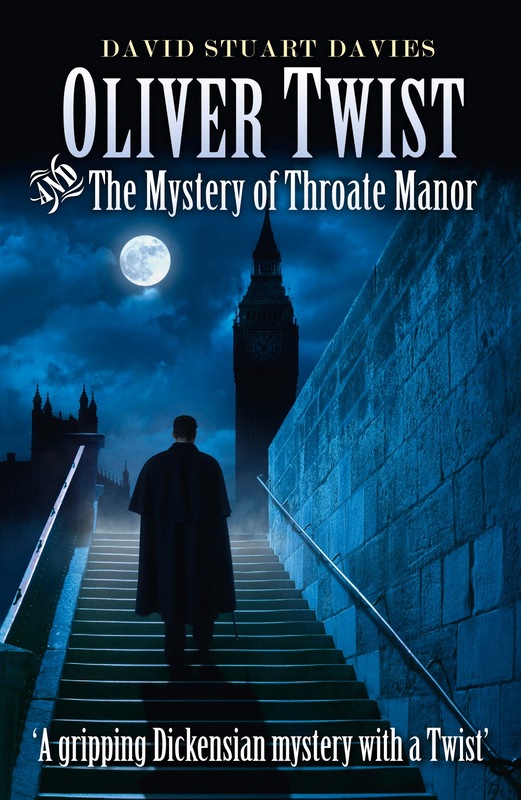 His non-fiction work includes Starring Sherlock Holmes, detailing the film career of the Baker Street sleuth. David is regarded as an authority on Sherlock Holmes and is the author of two Holmes plays, Sherlock Holmes: The Last Act and Sherlock Holmes: The Death and Life, which are available on audio CD. He has written the Afterwords for all the Collector's Library Holmes volumes, as well as those for many of their other titles. David has also penned three dark, gritty crime novels set in Yorkshire in the 1980s: Brothers in Blood, Innocent Blood and Blood Rites. He is a committee member of the Crime Writers Association and edits their monthly publication Red Herrings. His collection of ghost and horror stories appeared in 2015, championed by Mark Gatiss who said they were pleasingly nasty. David is General Editor of Wordsworth's Mystery & Supernatural series and a past Fellow of the Royal Literary Fund. He has appeared at many literary festivals and the Edinburgh Fringe performing his one man presentation The Game's Afoot an evening with Sherlock Holmes & Arthur Conan Doyle. He was recently made a member of The Detection Club. A wonderful, magical and charming tale. It is rich in folklore, superstitions and old Irish traditions. It struck a familiar chord with me as my grandmother was from Anna's generation and she would have grown up with the same values and traditions. I loved the use of the Irish language. It is practically impossible to talk about Irish folklore and culture without using some of the language. Its use added to the touch of magic and supernatural that was running through the story. The fairy stories presented here are very authentic and beautifully written. The author drew from real life cases; the burning of Bridget Cleary is very similar to one of the fairy stories talked about in the book. Anna's story was beautiful, romantic and poignant. There was an air of mystery surrounding her as well as the people of the Big House. The history of Thornwood was quite creepy, dark, and with a menacing air of suspense. I loved it. The historical sections of the book were definitely my favourite because of all the strange goings on. I couldn't put it down. I also enjoyed the light romantic element here too and I kept hoping for Anna to finally see Harold and recognise his feelings for her. A truly beautiful and captivating book. 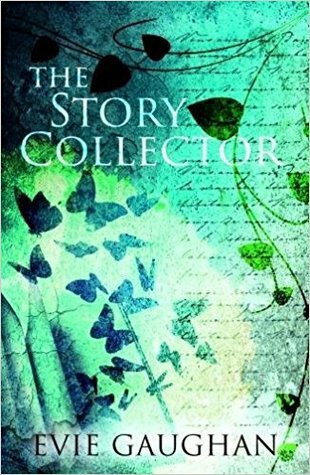 The Story Collector will be published on the 14th of June and is available to pre-order on Kindle for only 99p! Amazon and all good bookshops. Kennys and BookDepository offer free shipping worldwide. 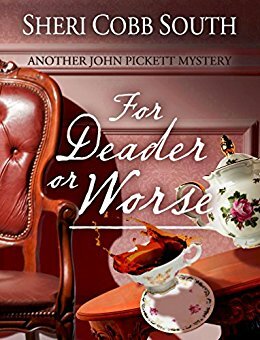 In this instalment John gets embroiled in the mystery of Julia's sister's disappearance thirteen years earlier as well as the murder of a stable hand who worked for Julia's father. I enjoy Julia and John very much. John Pickett is such a likeable character. He still can't believe that he is married to the woman he loves and he is very sweet in his interactions with her. I found some of the story surrounding Claudia to be somewhat predictable but it was nevertheless a very good story. The murder mystery was more complicated and I was convinced of the guilt of one particular person before finding out I was completely wrong. It kept me guessing and listening. The narration was once again superbly done by Joel Froomkin. I can't recommend this series enough. I am going to be very sad once it ends.